Do you feel like you have a specific calling in life or a desire to share your message with the world and help people to better themselves and their lives? You may feel like what you’re currently doing in your day to day job isn’t really fulfilling you or giving you the excitement, freedom and joy that you deserve. Yet, you’re not really clear on what it is you want to be doing instead. You may be feeling like you’ve lost your spark over the years and are looking to reconnect to who you truly are and bring back your fire. Maybe you just want to work on yourself to be more happy, focused and confident and less anxious, timid, afraid or angry. These are a few of the reasons that past attendees decided to do the NLP Practitioner course, and I’m guessing that at least one of those is the reason you’re here too, right? NLP allows you to understand “How” an unwanted behaviour, belief or emotion has been created and gives you the tools to erase it and install a new desirable one instead. The easiest way to explain it is like updating the software on your laptop or mobile phone, giving you a boosted, more confident, more focused, happier version of you. I believe that we are all born to be leaders of our own lives. Leaders inspire others to want to be and achieve like them. The best way to lead is to do so by example, and so In order to help others to become empowered and start designing their dream life, then you MUST begin with you. This is EXACTLY what our 8- Day NLP Practitioner training is catered to do. Want to find out more about what our NLP Practitioner course will give you and allow you to do , click the button below and book a FREE call with me personally, and lets look at where you are at the moment and what becoming an NLP therapist or coach will offer you. · Do you find yourself having thoughts you'd rather not have? · Do you react sometimes in ways that, afterwards, you cannot explain? · Is there something you'd like to be more of - confident, happy, focused? · Do you fear change or really 'going for it'? · Do you do, think or feel things that you wish you could change? If you answered ‘yes’ to any of the above, you’re not alone! Secondly, the NLP Practitioner course is for you & more importantly will allow you to become the creator of your masterpiece & live your life by design. During the 8-Day training, you will learn how your mind works and how to speak its language, allowing you to change just about anything in your life, easily, effortlessly and quickly. This makes our NLP Practitioner Training absolutely priceless. 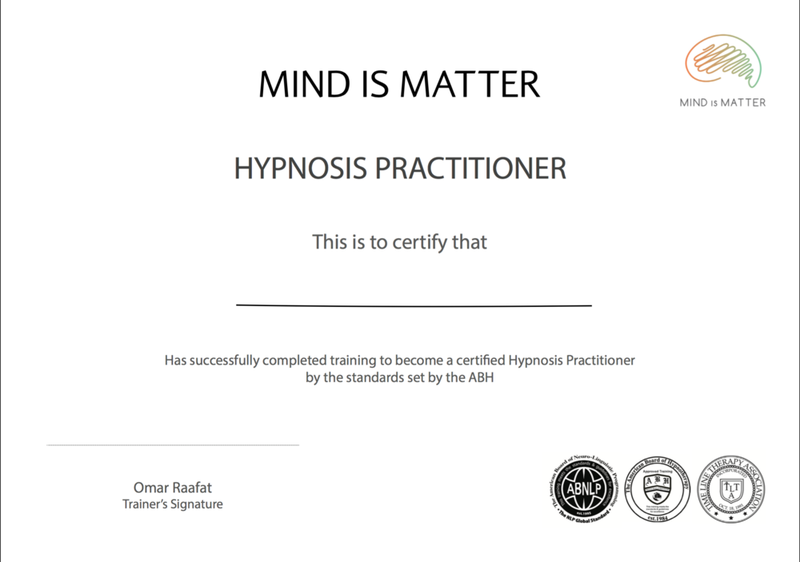 How to setup an NLP/Hypnosis & coaching business to start working with clients. 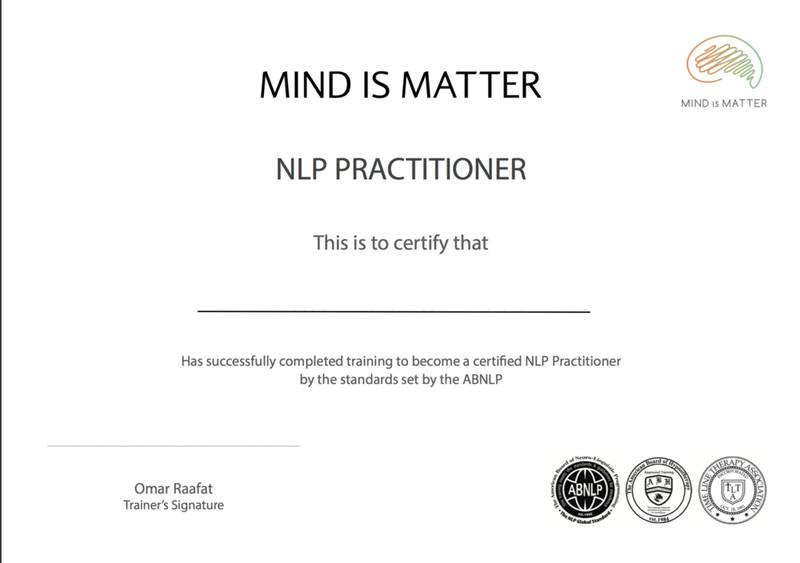 You do not have to have any prior knowledge of NLP or Psychology. Understand how you process information and subjective experience. Shift perspective on the world, other people, situations and your emotions. Gain clarity, focus and direction on what you want out of your life. Connect to your unconscious mind and utilise it's resources in achieving more happiness, love and peace of mind. Be able to read, connect and communicate more effectively with people. Build Relationships of trust and cooperation. Connect with large audiences easily. Sharpen your senses and be able to change how you experience your daily life. Control your state and be in charge of how you feel. Understand your strategies and how you make decisions. Lateral thinking and how to overcome blocks and obstacles in your thinking. Meta Modelling: How to ask the right questions to get the information you want. Conflict resolution- Remove internal conflicts and parts. Overcome fears, phobia and anxiety! + Addition to our International Mind Is Matter Alumni group which gives you access to other practitioners around the world to collaborate on projects and ideas. + On going mentoring and support for 1- year after completion of your course. Open book assessment and certification. It is a requirement by the ABNLP to have fulfilled the above criteria to receive certification of successful completion. We respect your privacy. Mindismatter.com adheres to the General Data Protection Regulations (2018). Confidentiality, and your privacy is important to us. By providing your email above, you consent to being added to our newsletter and updated on our news,promotions and upcoming events.